There are countless waterfalls in Asia that could easily compete in terms of beauty and sheer awesomeness with any of the ‘stars’, and any list of the most spectacular waterfalls in Asia only manages to scratch the surface! Mount Fuji is one of those tourist attractions that don’t even need an introduction, but it isn’t the only highlight of the Fuji-Hakone-Izu National Park. 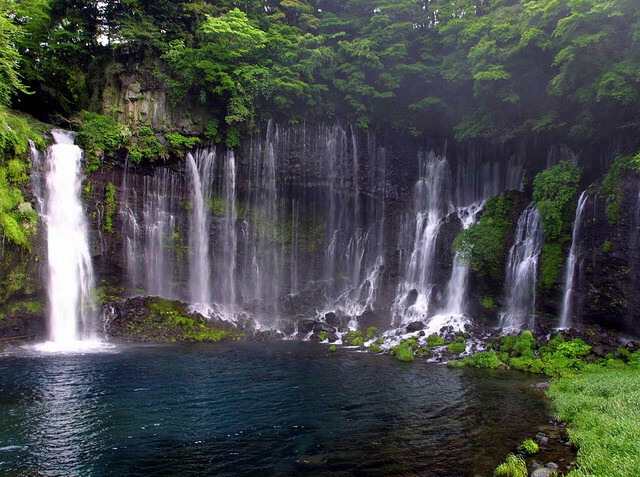 Not far from the volcano you can find the Shiraito Falls, a Japanese natural monument for over 70 years, and sacred in Shinto. The waterfall is very wide, and the effect of the water falling over rock covered in moss and shaded by abundant foliage is quite something. Five minutes from Shiraito you can find the similar (but smaller) Otodome Falls. 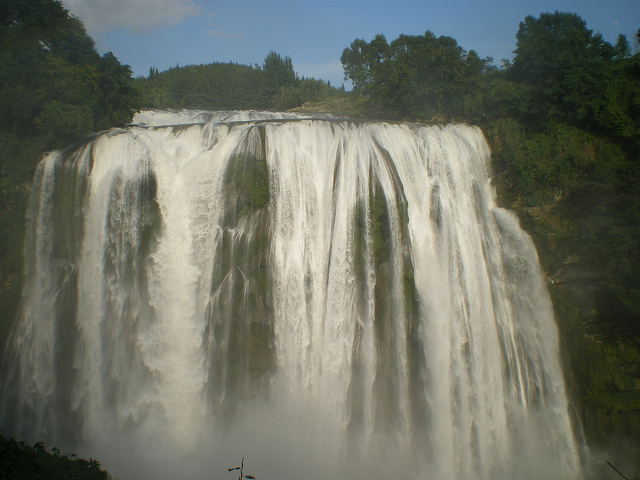 Huangguoshu is one of the largest waterfalls in East Asia, more than 60 meters tall and about 80 meter wide, and that’s not counting the minor waterfalls surrounding it. 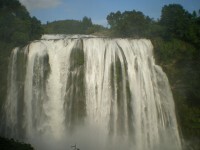 Huangguoshu Waterfall is the main draws of the Huangguoshu Waterfall National Park, and the kind of sight that it’s difficult to get bored of, since it can look completely different depending on the angle you look at it. You can see the whole waterfall from a viewing pavilion, and parts of it from several viewing stages. Sai Yok Noi National Park is one of the best places to be in Thailand if you like to spend your time surrounded by nature, and prefer the shade of trees to sunny beaches. Sai Yok Noi waterfall is very popular with domestic and foreign tourists alike, thanks to its scenic beauty, easy access and several nearby attractions like the Krasae Cave, a shrine and Hellfire Pass Memorial. 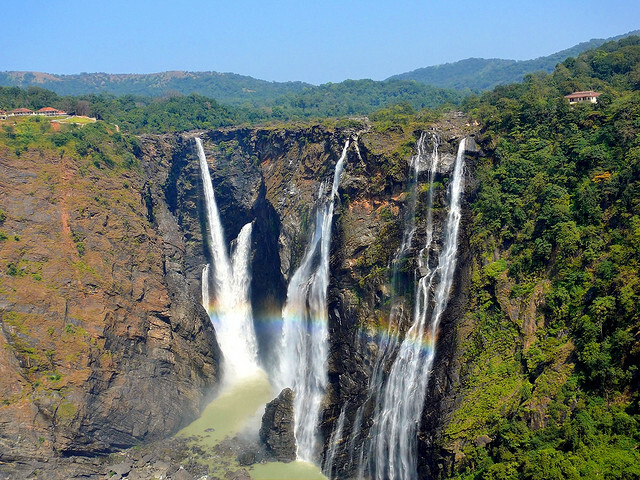 Jog Falls is not the highest plunge waterfall in India, but it is easily the most impressive – the sight of the Sharavathi River falling from 250 meters is definitely not one you’ll forget soon. The water falls in four distinct streams, but there are no tiers and the spray comes down in smooth sheets. 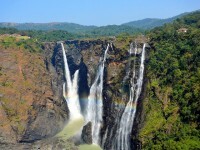 Even without the scenic beauty of the surrounding landscape, Jog Falls would still be spectacular. Berkelah is a cascade of waterfalls that creates a perfectly scenic spot for hiking and walking, as well as a series of calm pools that attract many swimmers. The first few of the seven tiers are easily accessible, but it might take a bit of jungle trekking to get to the rest of the falls. Bring your camera (there’s an abundance of panoramic views) and your bathing suit.